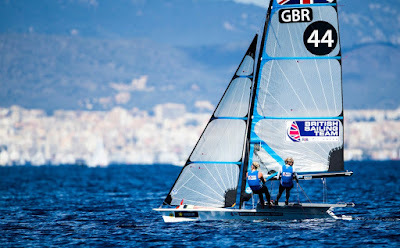 Friday brought the last chance for Britain's sailors to qualify for medal races and grand final positions at the 48th Princess Sofia Trophy, with James Peters-Fynn Sterritt in the 49er and rising Laser star Elliot Hanson set to go for Palma gold tomorrow (Saturday 1st April). On a challenging day in light breeze, which saw a number of classes held on shore for most of the morning, Hanson stormed to the top of the Laser leaderboard thanks to a second and first and heads into the medal race seven points clear of Italy's Franceso Marrai, bidding to claim his first senior gold medal. Nick Thompson will have his eyes set on a podium finish having moved back up to third. Lorenzo Chiavarini, who wrapped up his opening series in seventh, also secured his place in tomorrow's medal race. Hanson said: "I had a really solid day. I just have to try and finish it off tomorrow. I've made a few mistakes during the regatta, I'm sure everyone has, but I've remained one of the most consistent sailors all week. "Whilst there are a few of the top guys missing, it's a strong fleet and it's been really good racing. I need to have a good race and hopefully I'll come away with a win." Peters-Steeitt, meanwhile, stay perched at the top of the 49er table. The pair start Saturday medal races one point ahead of Spanish duo Diego Botin Le Chever-lago Lopez Marra. Despite their lead having narrowed, Peters said: "Our week's been really good and we've put in lots of consistent results. We're really happy with how the regatta has gone so far." Sterritt admits the pair have still needed to be at the top of their game to have maneuvered themselves into this position with one day of racing to come. He added: "The conditions have been tricky. We've had some classic Palma conditions mixed with some unexpected scenarios, so it's not all been plain sailing. Also in the 49er medal mix are Dylan Fletcher-Stuart Bithell, who are currently third after a strong final two days of fleet racing. Reflecting between races two and three, Bithell commented: "There wasn't much wind this morning so we had a short postponement ashore. It clouded over for the first time all week, but once we got going we had a really nice breeze on the water. "It was eight to 10 knots so we had some difficult racing as usual, with marginal gains around the course." Looking ahead to the medal races, Fletcher added: "I think it could be quite tricky to get ahead of the boats in front, but ultimately we will do everything we can to try and win the regatta. If there is an opportunity to win, that is what we will be looking to do." In the Men's RS:X Kieran Martin pumped his way into the quarter-final after finishing the opening series in sixth. Young gun Emma Wilson also secured her quarter-final place in the Women's event, qualifying in 11th. With the qualifying series over, the scores are reset to zero and the windsurfers need to progress through to the semi-final before they get the chance to secure a medal in the three-board grand final. With maximum 10-minute races it will be intense racing. "Today has gone very well, I had one really good race which was enough to put me into finals day," Martin said. "The new format means i will essentially start Saturday in the same position as those ranked third to 12th. It'll be interesting to see how it plays out as anyone can win. It's all new and pretty cool." After a long wait ashore, it was a challenging day with a late finish for the Nacra fleet. Despite adding a 2,4 to their scoreline, a poor final race result saw John Gimson-Anna Burnett slip into second. The Brits remain in gold medal contention but, with a 16-point gap, between them and leaders Fernado Echavarri-Tara Pacheco, Gimson-Burnett will have a challenge on their hands. 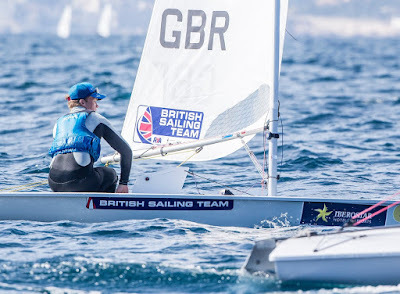 With Tom Phipps-Nikki Boniface still firmly in medal contention in fourth and Ben Saxton-Steph Orton also securing a place in their first medal race together in sixth, it has been a positive regatta for the British Nacras. 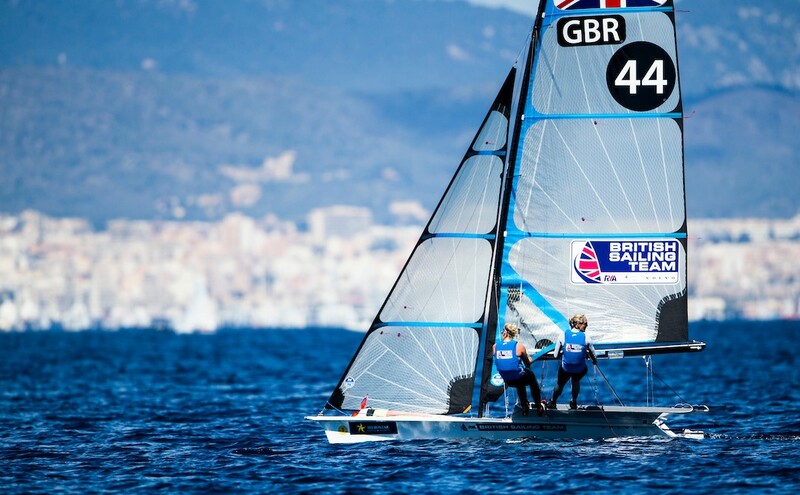 Having narrowly missed out on the medal races at their debut event at January’s Miami World Cup, 49er FX pairing Charlotte Dobson-Saskia Tidey are through to their first medal races together in sixth place. But following a challenging final race, Alison Young will miss out on the Laser Radial medal race by two points. Young, along with Finn sailor Ben Cornish, both wrapped up their regattas in 11th place. For all the latest news from the British Sailing Team, follow us at www.britishsailingteam.com, on Facebook, on Twitter @BritishSailing and on Instagram @BritishSailing.